Is the ABX Conference on your calendar? If not, change your plans! We’ve got you covered with free passes to the premier event for architects and construction professionals throughout the Northeast. The conference takes place on November 28th and 29th at the Boston Convention Center. Visit with the Triumph team in Booth #423. 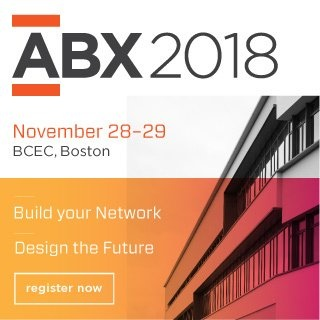 Founder by the Boston Society of Architects [BSA], ABX is the largest building and design tradeshow and conference in the Northeast attracting 8,000 architects, builders/contractors and design professionals each year. This year’s show promises to be especially active with the level of development happening in Boston and throughout New England. There’s a surge in interest in offsite construction techniques. Architects and developers are turning to modular as a proven approach to shave valuable months off construction schedules. Representatives from Triumph will be sharing information related to advancements in modular construction and the process required to effectively facilitate all phases of a modular project. We’re especially proud to have worked alongside of Shelpley as modular consultant on this unique project. Drop by our booth — #423 — to learn more about the Life Lab, the Woods Hole Marine Terminal, Williams College Faculty Office, Wellesley College Science Center, and many other projects that we’ve worked on recently. Click here or the image below and use the code “XFC194” to get your free pass. Rusty is a graduate of Trinity College in Hartford, CT. He's the co-founder of multiple tech companies and enjoys exploring the intersection of education, innovation, and built space. He hosts a podcast called Forming the Future which features conversations with thought leaders in campus planning, collaborative learning, ed tech and architecture.